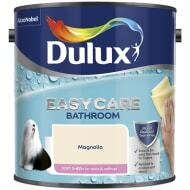 Kitchen and Bathroom paint I hear you ask…well look no further than B&M’s branded range. Including Dulux’s Easycare (Bathroom) and Johnstone’s All in One Kitchen and Bathroom paint in a variety of colours, we offer the best prices on interior decoration! Visit your local B&M store today for these incredible offers.